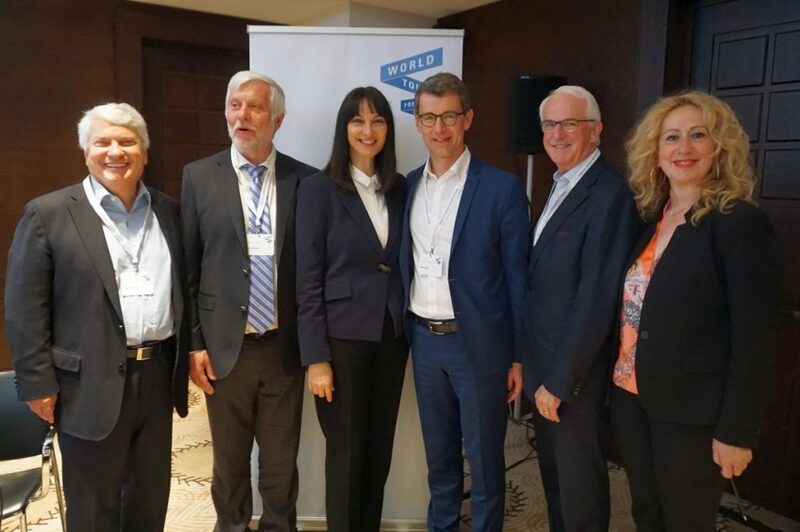 GNTO Alternate Secretary General Giannis Goulios, Peloponnese Region Governor Petros Tatoulis, Greek Tourism Minister Elena Kountoura, WTFL Think Tank CEO Martin Barth, WTTC Head Gerald Lawless and Peloponnese Region Tourism Consultant Antonia Bouza. “The growth that we will see in the travel and tourism sector in Greece will be phenomenal,” the chairman of the World Travel & Tourism Council (WTTC), Gerald Lawless, said on Friday. 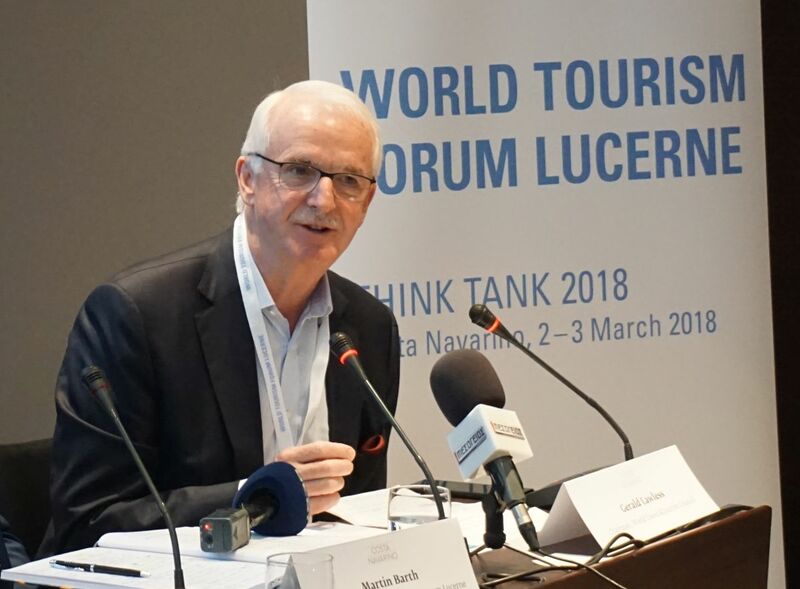 Speaking to journalists during the first day of the World Tourism Forum Lucerne (WTFL) Think Tank 2018 at Costa Navarino, Lawless said that Greece can aim for more than 30 million visitors, which is the country’s target for 2018. 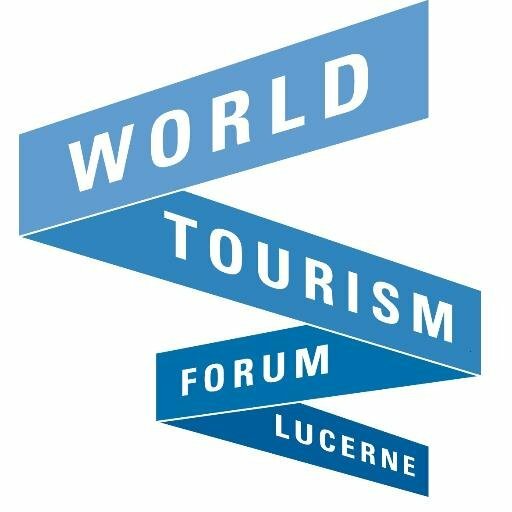 A worldwide platform that organizes events in Switzerland and around the world, the WTFL aims to bring together governments, the industry — travel, tourism and hospitality — with investors. “But it’s not just the number of international arrivals… Greece also has to ensure that tourism is carried out in a respectful way,” he said, underlining that it is a responsibility of people traveling to have respect for the destination they are visiting. “And it is also the responsibility of the host destination to ensure that behavior is carried out in a proper and sustainable manner for all of us to be able to benefit from travel and tourism,” Lawless added. 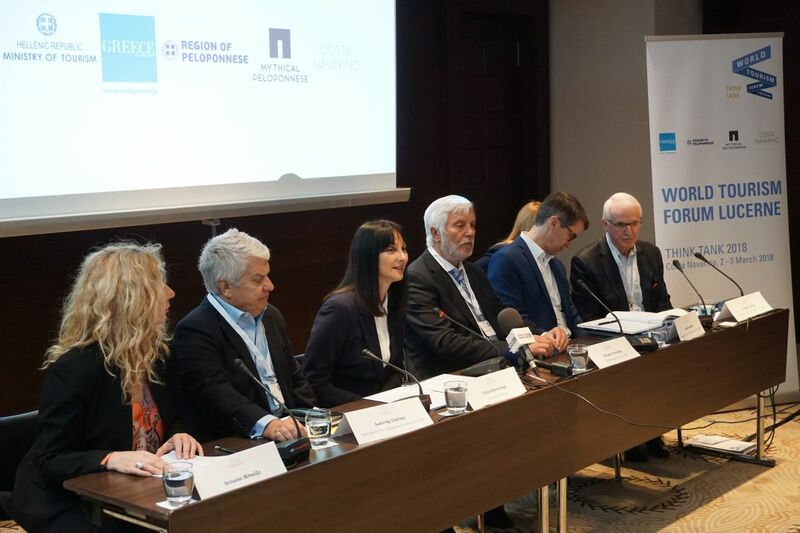 Held for the first time in Greece, the WTFL Think Tank 2018 is focusing on Public-Private Partnerships (PPPs) for sustainable tourism growth. Discussions on infrastructure development and the promotion of new investments are also on the agenda. 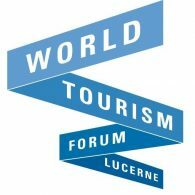 According to the CEO of the WTFL Think Tank, Martin Barth, PPPs are essential in the tourism industry. “Investors have to come together and you have to create the right setting… This is the right topic to discuss here and our think tank here in Greece is the best example for a PPP,” Barth said during the event’s opening press conference, adding that he is interested in further exchanging and cooperating with the country. “I would like to create a long-term partnership with Greece on sustainable development,” he said and invited Minister Kountoura to attend the next WTFL Think Tank in Lucerne, Switzerland, in 2019, for further discussions. The WTFL’s CEO added that in many destinations tourism can be the economic driver. “It can be the same for here in Greece,” he said. Greece was selected as the host destination for this year’s WTFL Think Tank at the initiative of Greek Tourism Minister Elena Kountoura. A highly focused, top level and strategic body, the Switzerland-based WTFL Think Tank every two years convenes in some part of the world and gathers an exclusive group of influential leaders from inside and outside the industry to meet for a forward-looking discussion on key challenges and opportunities in the global travel, tourism and hospitality. 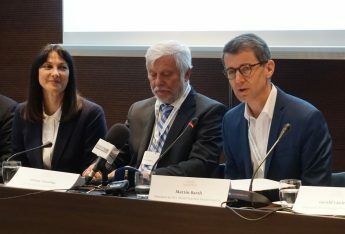 “Our guests will not only have the opportunity to see our beautiful Greece, but we will be able to join forces, as that is an important aspect of this forum: for the public and private sector to launch collaborations, to have productive meetings that help to develop ideas,” Greek Tourism Minister Elena Kountoura said during the opening press conference. “All of this forms the future of global tourism, where Greece wants to star in and become one of the most popular global, attractive destinations,” the minister said. Speaking to GTP Headlines on the importance of the WTFL Think Tank’s main focus, Minister Kountoura underlined that sustainable tourism development offers many great advantages and brings the ministry closer to its goal: economic growth, jobs, better services, better quality and greater development. “Because tourism does not only secure jobs in the sector itself but it also influences many other sectors… That is what tourism is: a great ‘machine’ that contributes to the development of many other sectors,” she said. On his part, the governor of the Peloponnese region, Petros Tatoulis, said that the organization of the WTFL Think Tank 2018 in the Peloponnese is considered a big opportunity for the destination. 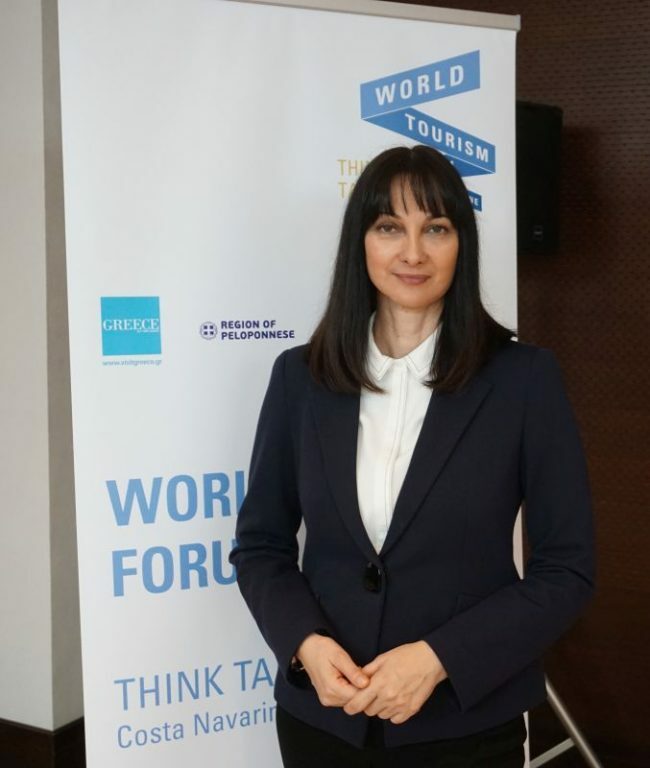 “We are pleased that the leaders of world tourism are in Greece, in Pylos, in the Peloponnese… This gives an extra value to the effort made by the Region to develop the value and quality of its tourist product through extroversion and I am glad that we are all here — government, region, businessmen, private sector — because all together we can achieve the goals we have set,” Governor Tatoulis said. “According to all forecasts, the Peloponnese will be the new emerging Greek destination over the next 20 years,” Tatoulis said. 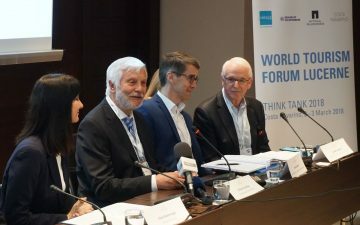 Along with sustainable tourism growth, the main topics at the WTFL Think Tank 2018 include diversity, talent and innovation in the tourism industry. The 6th WTFL is being held with the support of the Region of the Peloponnese and the Greek National Tourism Organization (GNTO).